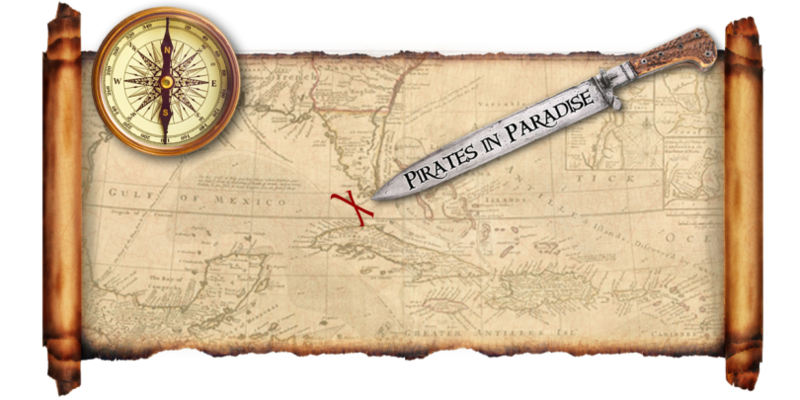 Be sure ye have yer cutlass sharpened and yer flintlocks loaded for the annual Pirates in Paradise Festival Dec 4 thru 7, 2014 ‘n Key West, Florida. Join Admiral Finbar, the first Sea Lord of the Conch Republic and leader of the 74′ Topsail Schooner Wolf, and crew for fair winds, thrills and adventure on the high seas. There be spectacles and entertainment the likes of which ye have only dreamed of until now. This year there be new events and entertainment to be enjoyed by the entire family as well as some of the old favorites ye won’t want to be missin’. There be thrills as well as some spills in our Pyrates of the Coast National Walk the Plank Championships and don’t be neglecting the rousing Buccaneer Ball and Caribbean Pirates Feast. All this, plus games, face painting, wares and delightfully inspiring shows and performances for everyone to enjoy. It be an extravaganza the likes of which ye have only imagined before, so belay yer plans and alter yer tack to sail (not drift) to this years Pirates in Paradise festival, lest ye be longing for a trip to Davy Jones’ Locker. And The Votes Are In!! !